When I first time watched Wallace & Gromit movie, I was very pleased and impressed as the story took me to the animation of my childhood when characters made of play-doh became alive. It was like seeing your imaginary stories in real on TV. This year the creators of Wallace & Gromit and Chicken Run, Aardman Studio, released new movie Shaun the Sheep that we had a chance to see this summer. The story starts at Mossy Bottom Farm where life goes according the same schedule every single day: feeding, walking, counting and sleeping. It looks like nothing is going to change the flow until Shaun decides to take the day off and do something different. The things do not go as he expected and the whole farm now is out of control. The Farmer wakes up in the Big City in his trailer and then hits his head in an accident. Shaun, farm dog Bitzer and the flock are trying to get the Farmer back, but it is not that easy because he does not remember anything. The Big City brings not only new challenges, experiences and friends but also new problems and not so friendly encounters like an animal control officer. While the communication mostly is via signs, drawings and baas, the whole team manages to get everyone back. There are lots of funny moments in the movie, including iconic Bitzer’s head shake in disagreement and his “Oh, no” facial expression when he is looking through his fingers. Social media also make a significant influence when the celebrity hairstyle is taken by the storm and becomes extremely popular; initially it was simply a regular Shaun the Sheep haircut. Counting the sheep also becomes a hit when everyone falls asleep just by watching how Shaun the Sheep and the flock jump over the hurdles. Nothing is better than being home and the movie proves it one more time. Family and friends are the most important in the life. It is funny what kids remember after watching the movie. Teddy said that wool is very soft because when the Farmer put his head on Shirley’s fleece, he was sure it was his pillow. We liked the movie a lot, very kind and heart-warming. The film is available on Blu-ray, DVD and On Demand in Canada on November 24. 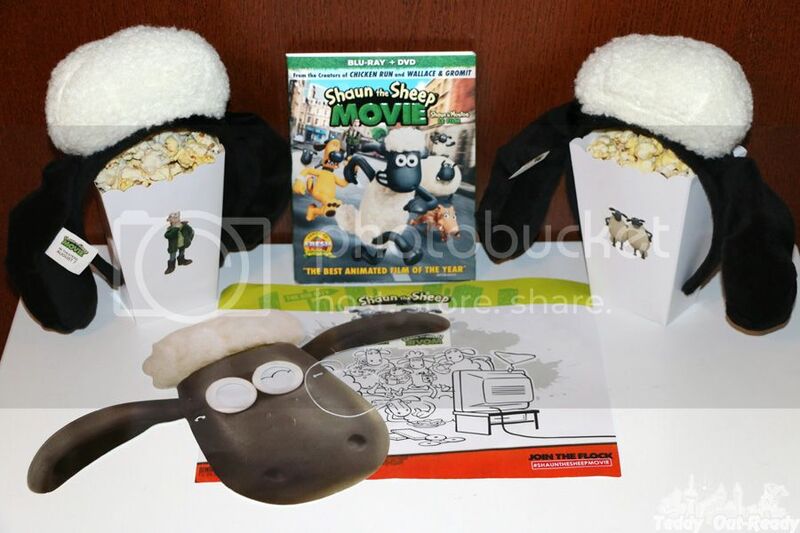 To celebrate this release we are happy to give away one copy of Shaun the Sheep movie to our lucky Canadian reader thanks to Elevations Pictures. For your chance to win simply fill the Rafflecopter Form below. The giveaway ends December 10, 2015. I would give this to my kids. we saw the movie this summer and were amazed at the fact that because of the incredible animation, there was no need for words! thank you for the chance! I would love to win it for the kids, we haven't seen it yet so would be a great movie for movie night. I'd love to win this for my granddaughter. I would love to win this movie for my nephew. 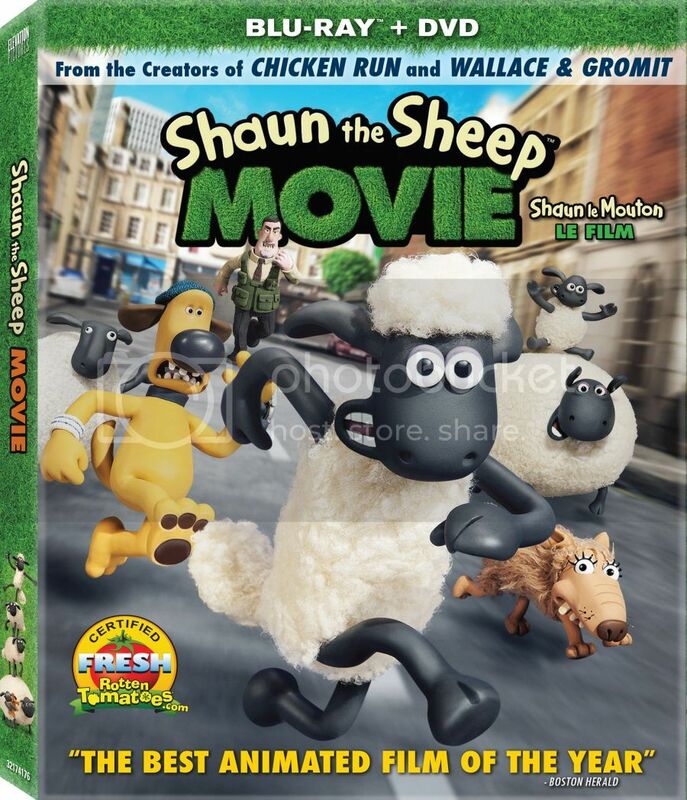 This would be totally for me - I am a huge Shaun the Sheep (and Wallace and Gromit/Aadrman Animation) fan! I would love to win it for my niece. My son would love this, perfect for Christmas or his birthday! I'd like to win this for my nephew's little girl. I would like to win this movie set for my sister. I would love to win this movie for my 6 grandkids. I have 2 girls and 4 boys! My son loved this movie and would love the accessories. I'd love to win this for my 5 year old soN! I would like to win this for my daughter. She was talking about it the other day. I would love this for my two grandkids. I would love to win this movie for my son. He is really wanting to watch this movie. My boys would love to watch this movie. Thanks! My 5 year old nephew would benefit!